Cheap Wedding and Formal Dresses - Formal wear for weddings, bridal parties, and special occasions, such as homecoming, cocktail, and prom. Custom-made with measurements, various color choices and sizes available. 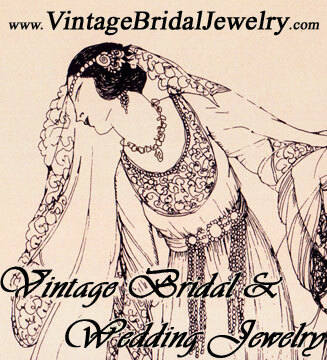 hand-crafted wedding jewelry that is not just for brides! Beach & Surf Barrettes by Hyperaccents- Catch a wave in your hair with hand painted surfboard hair barrettes!Tropical designs on barrette surfboards.Check it out! Memorable personalized Seed and Tea Packet Favors, Mint Tin Favors, Quaker Marriage Certificates & Invitations for: Weddings, Showers, Fund Raisers, Corporate events, etc. Large selection. Low prices. Crystal Bouquets - Our glittering customized crystal bouquets are skillfully handcrafted using our exclusive "High Twist" machined process for extra luster! Choose from Swarovski crystals, Swarovski pearls or Czech crystals. Silver Jewelry from Mexico - Silver jewelry specialists including wholesale silver and turquoise jewelry from Mexico. Low wholesale minimums. Bridesmaid101 - bridesmaid and maid of honor information, gifts, games and much more. Gretna Green Weddings - A Gretna Green wedding venue in an idyllic countryside setting. The Forge allows you to have your wedding, accommodation and reception all in one beautiful venue. WeddingMusicUSA- A Nationwide Directory of Live Wedding Bands, DJ's, Classical Ensembles, Singers, and more. Also find Tips and articles to help plan the perfect day! Wedding Supplies & Accessories | Wedding Invitations | WeDoWed.com - Wedding supplies and accessories, wedding invitations, placecards, wedding unity candles, personalized napkins, cake server sets, cake toppers, favors, bridal party gifts and toasting flutes.